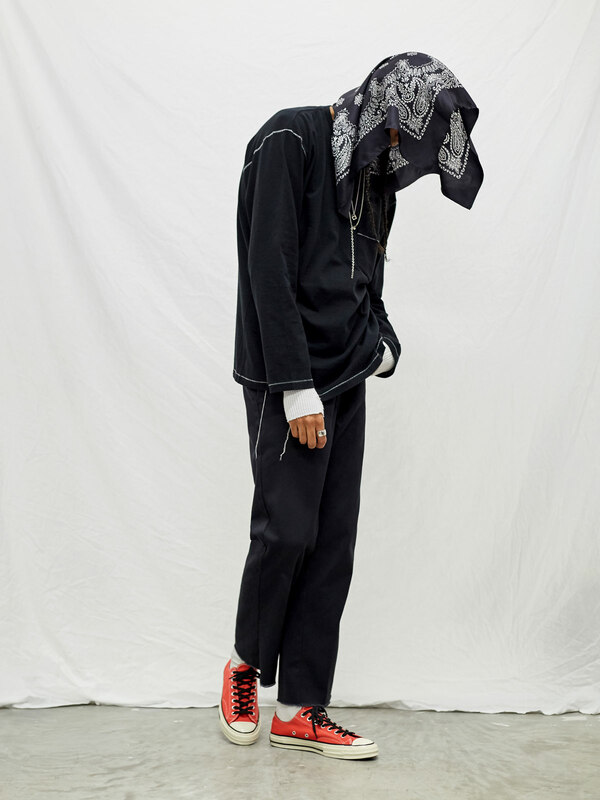 Unused Bandana, Long Sleeve Pocket T-Shirt and Long Sleeve Waffle T-Shirt, Dickies 874 Work Trousers, Converse Chuck Taylor All Star 70 Ox, Rachel Entwistle Astral Signet Ring, Maple Stackable Ring and Light Ring. 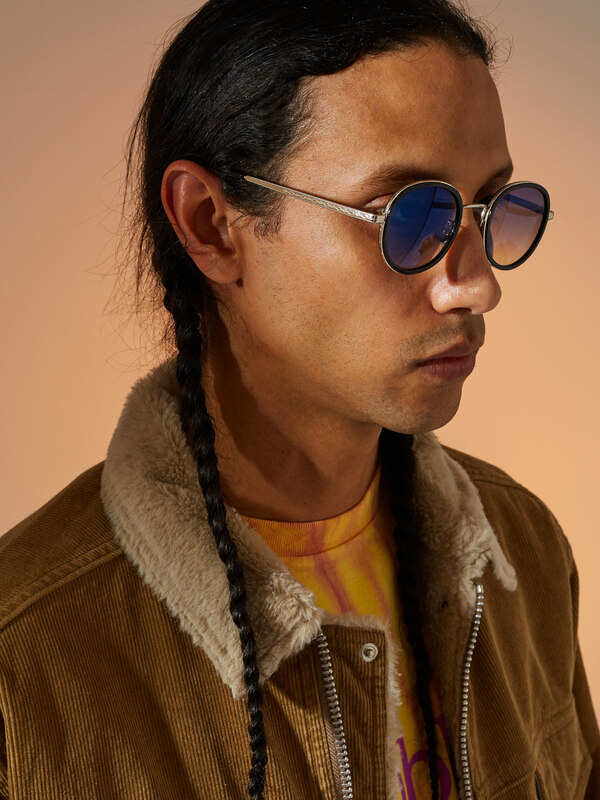 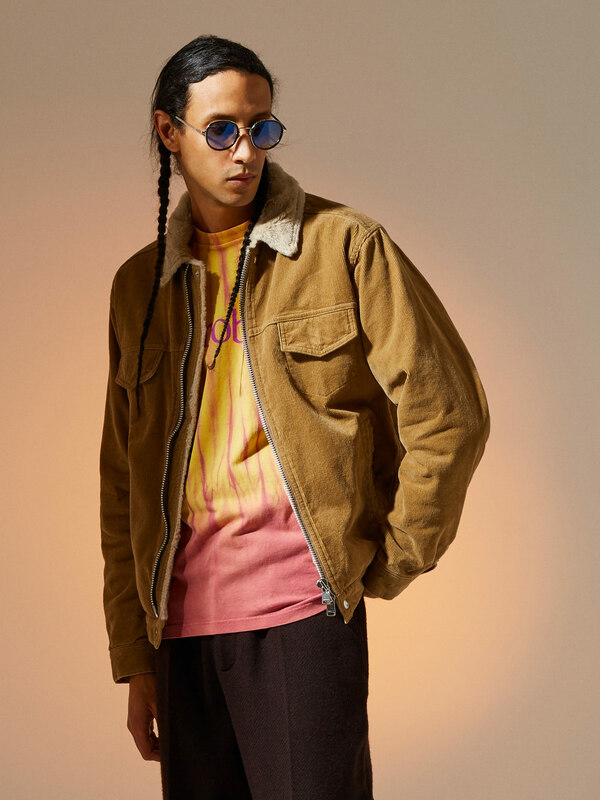 Cutler & Gross 1273-08 Sunglasses, Aries No Problemo Tie Dye T-Shirt, Nonnative Worker Boa Jacket, Our Legacy Borrowed Chino. 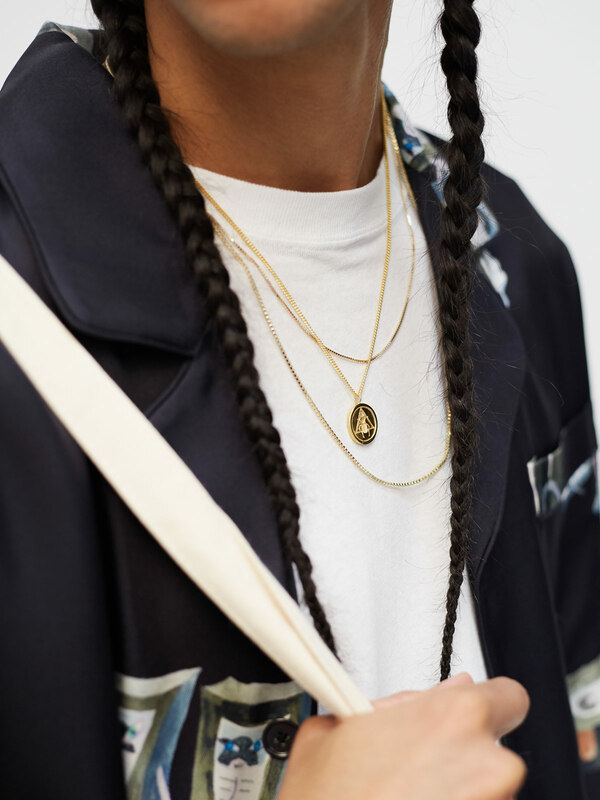 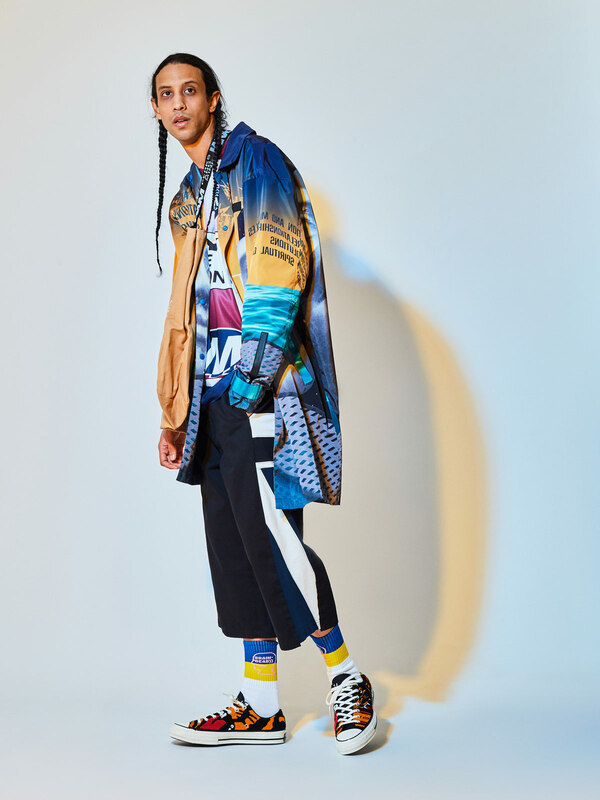 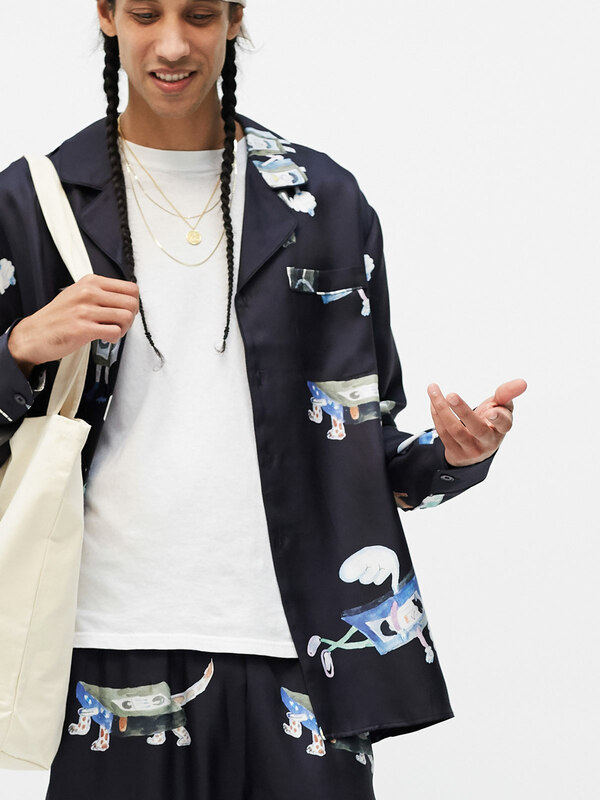 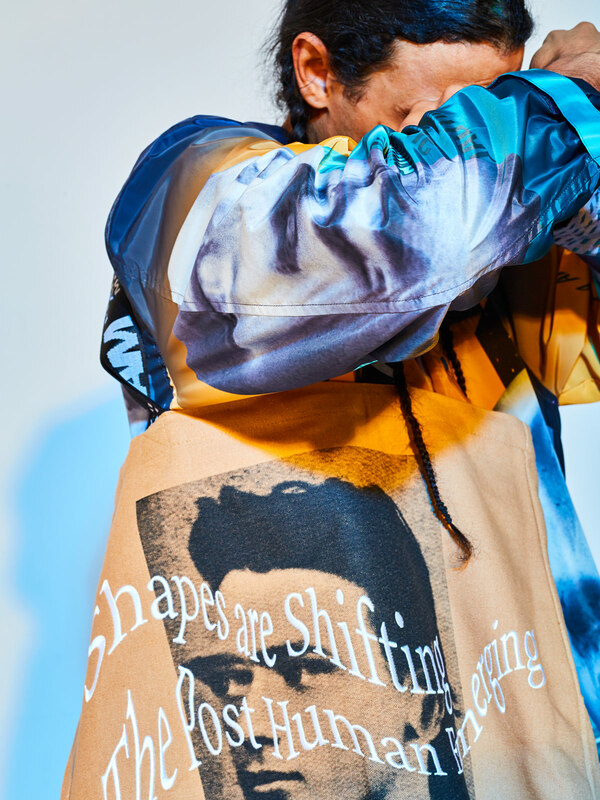 Soulland All-Over Print Silk Shirt Jacket and Trousers, Goods by Goodhood Classic T-Shirt and Not Listening Tote Bag, Rachel Entwistle Scarab Pendant and Goods by Goodhood 50cm Gold Curb Chain and 60cm Silver Venetian Chain. 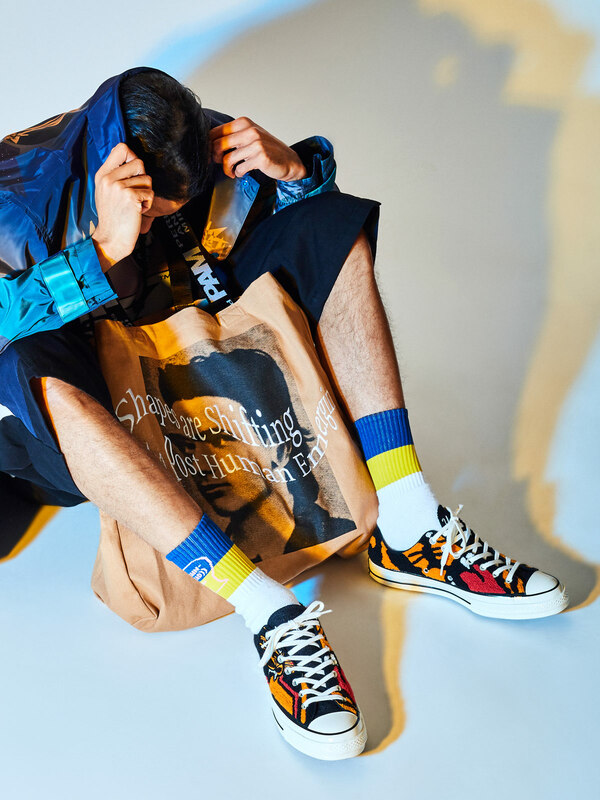 P.A.M. (Perks And Mini) Lines In Long Time Coach Jacket and Strange Loops Tote Bag, Facetasm Panel Trousers, Brain Dead Logo Socks and Converse x Undefeated Chuck Taylor 70 Ox. 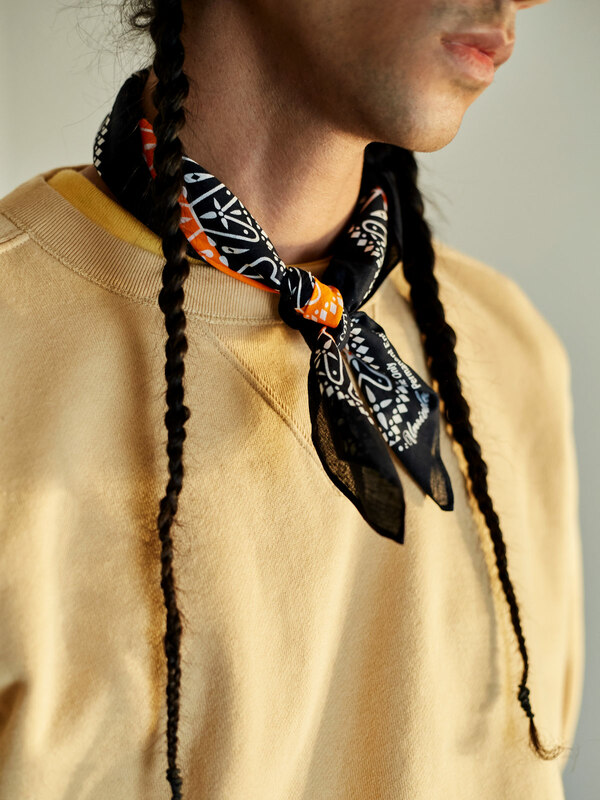 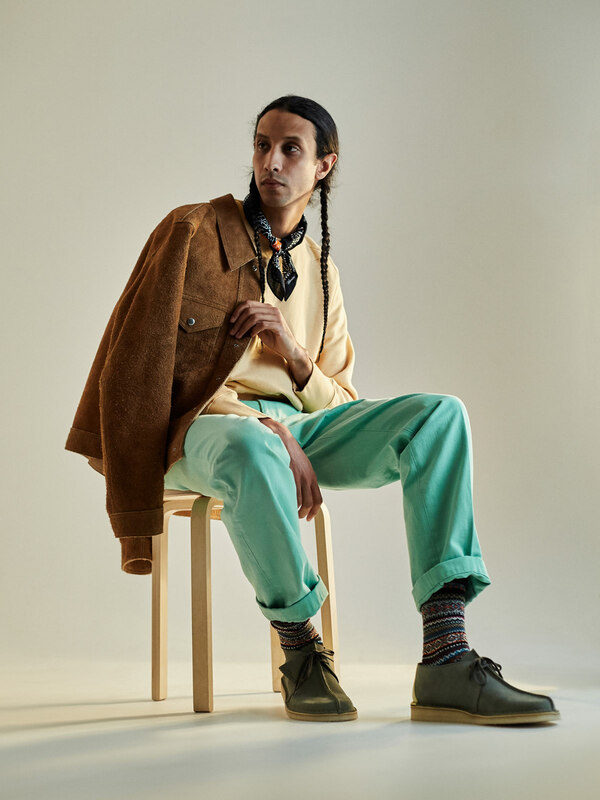 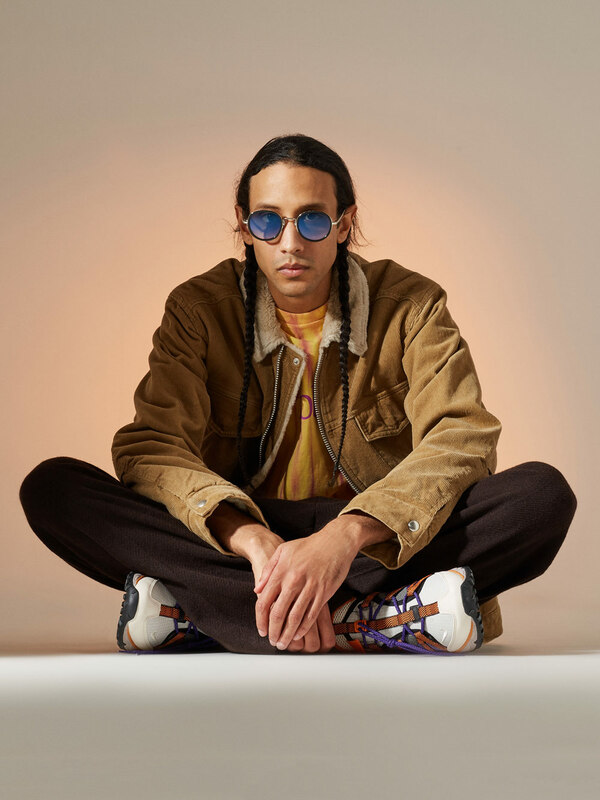 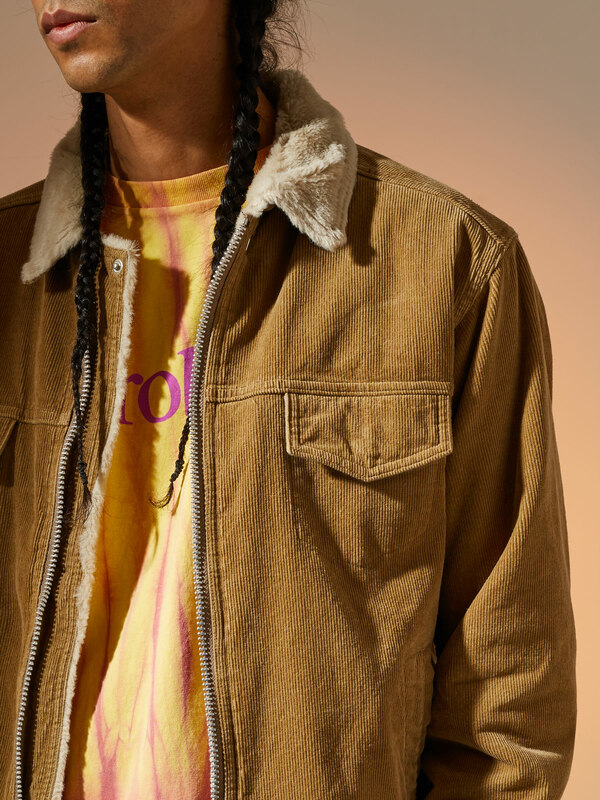 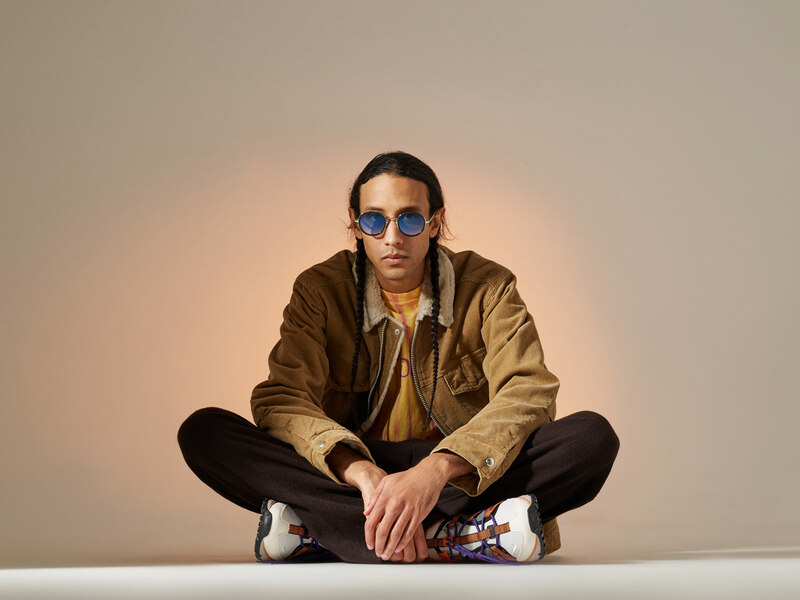 Unrivaled Bandana, Levi's Vintage Clothing Bay Meadows Sweatshirt and Tab Twills Trousers, Our Legacy Blacksmith Jacket, Clarks Originals Desert Trek and Chup Socks.